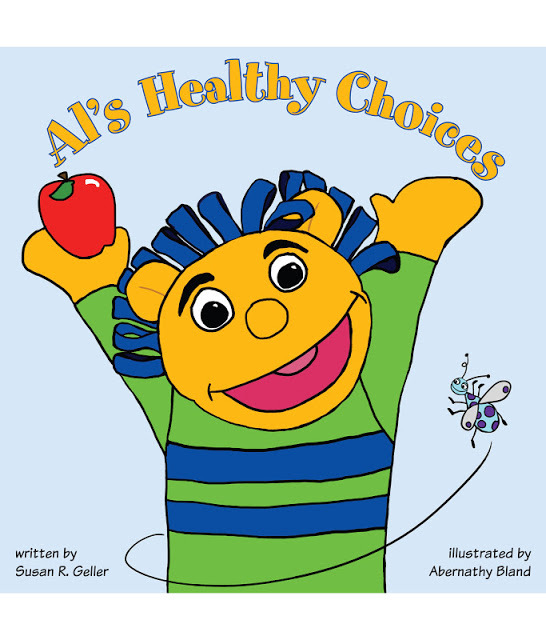 Al’s Healthy Choices is the first published book in the Al’s Pals series. Wingspan, LLC and AcornDreams are devoted to providing resources to educators, parents, and caretakers about developing positive early childhood behaviors. Al’s Pals is a program used by home school teachers, preschool classroom teachers, and childcare facilities to develop strong character in young children. They use a group of puppet characters to teach the children lessons. And, when expanding into books, they needed to be able to represent their 3D characters in a 2D format that stayed within their style. I was very lucky to illustrate their first book.